While traveling through Eastern Serbia I particularly loved some of the characteristic and soulful villages driving along smaller roads. 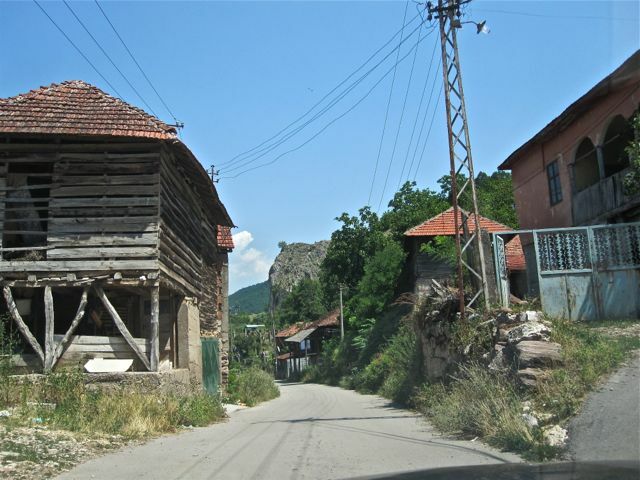 Those villages are far enough from urban centers so they're totally quiet, but still near enough to benefit from trade oportunities and public infrastructure the cities can offer. 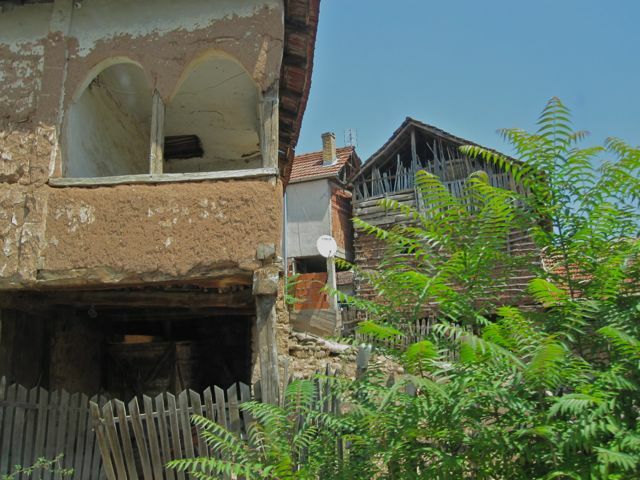 Temska is one of those really picturesque villages without being too glamed up. 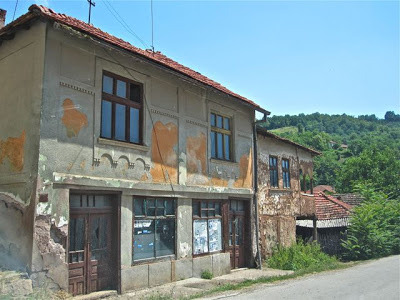 With around 900 inhabitants, a ground school, postal office, a few stores and a coffee shop it looks like a lively neat place along the Temstica River (a affluent of the Nisava River). 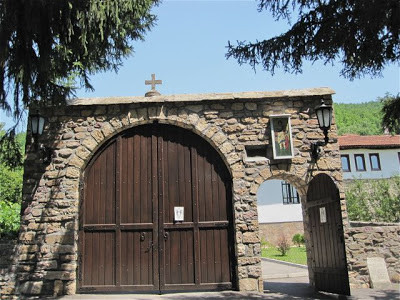 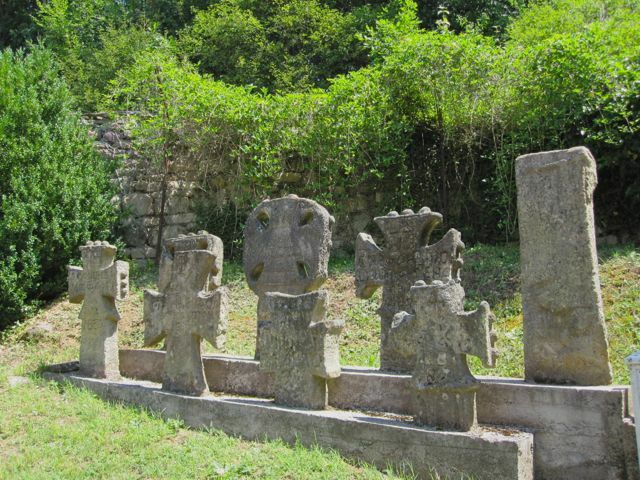 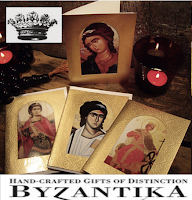 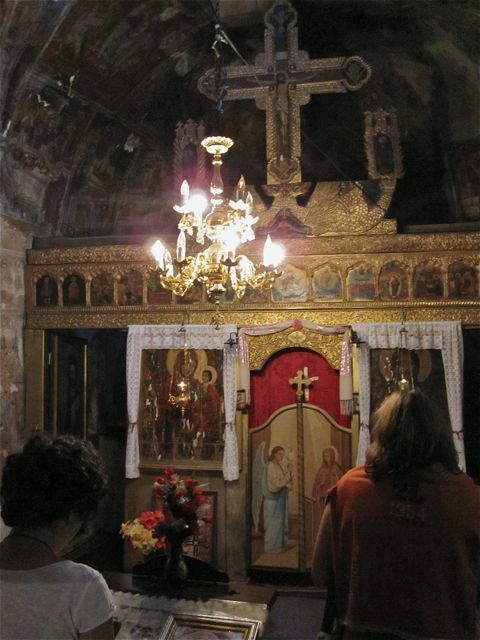 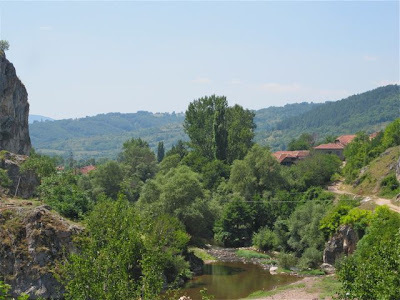 Near the settlement there is a small hydroelectric plant and the small Monastery dedicated to the Holy Martyr Saint George called Temska Monastery. 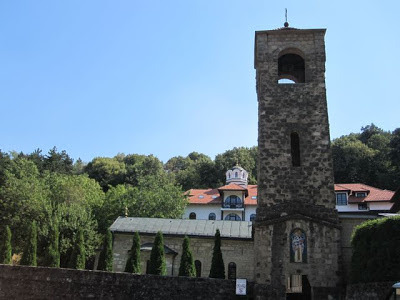 Erected on ruins of a fortification of the 11th century, the monastery was built in the second half of the 16th century by the Dejanovic Family (nephews of Tsar Dusan). 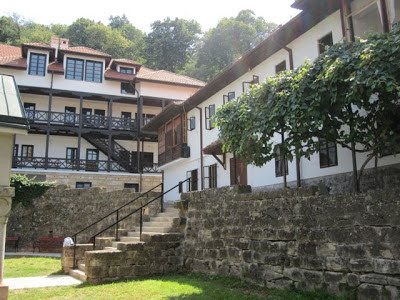 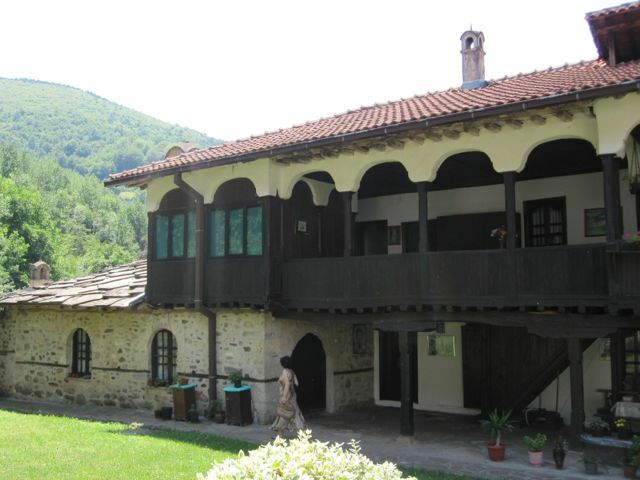 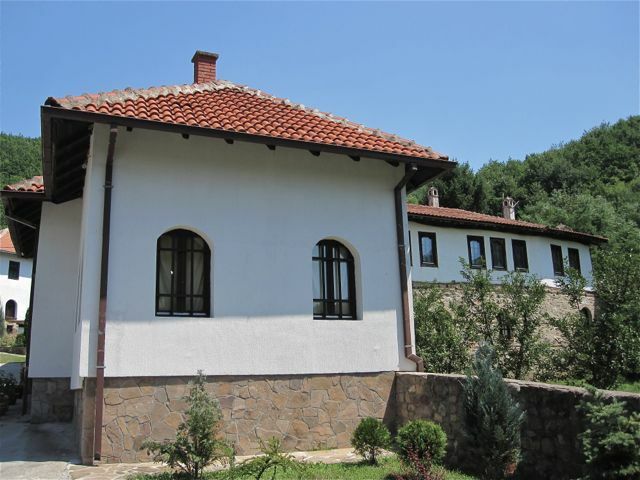 On the porch of the building various natural balm and balsams with curative effects and produced in traditional way from medicinal herbs of the Stara Planina are sold. People stop by to buy such balms for curing eczema, psoriasis, dermatitis, neurodermatitis, atopic dermatitis, skin allergies, acne, burnt skin, insect bits, hemorrhoids, varicose veins, alopecia, sinusitis, inflammation of the ears and open wounds. 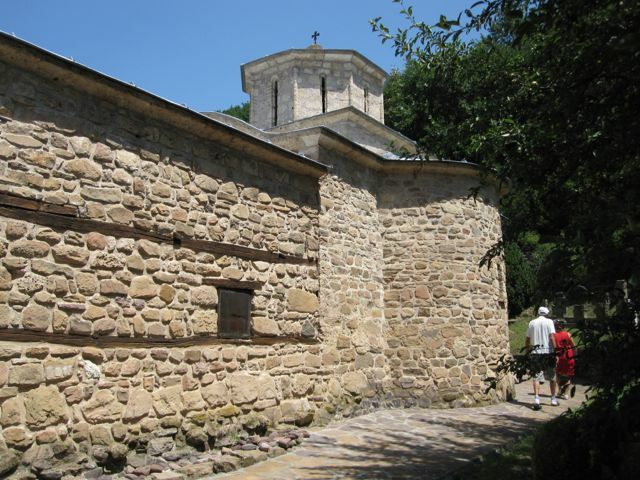 The Temska Monastery church has a three-nave basis with a semicircular altar apsis and a low eight-sided dome. The monastery church itself was constructed of white stone and covered by stone layers. 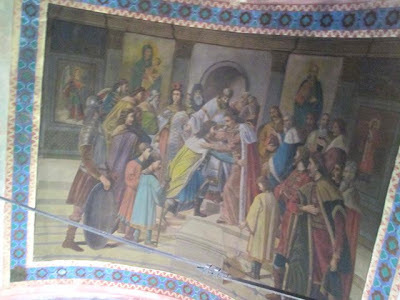 In 1654 a vault was added above the narthex instead of the old wooden construction and the porch was painted with beautiful frescoes. 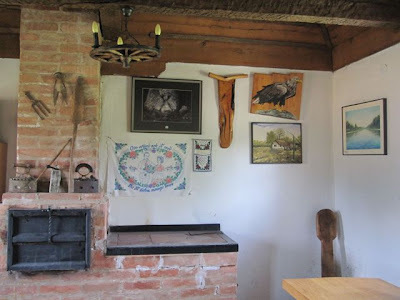 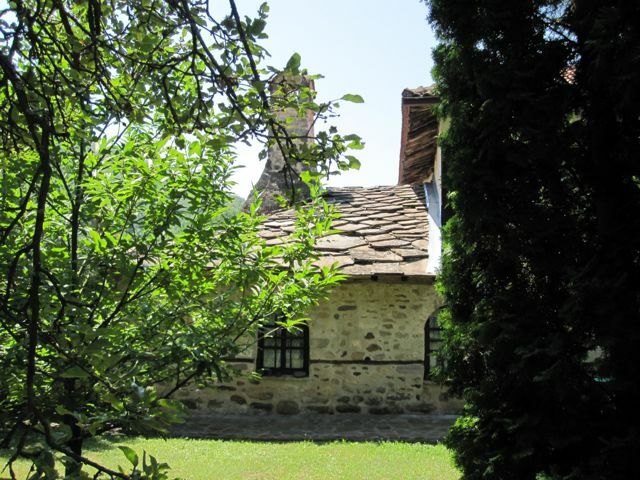 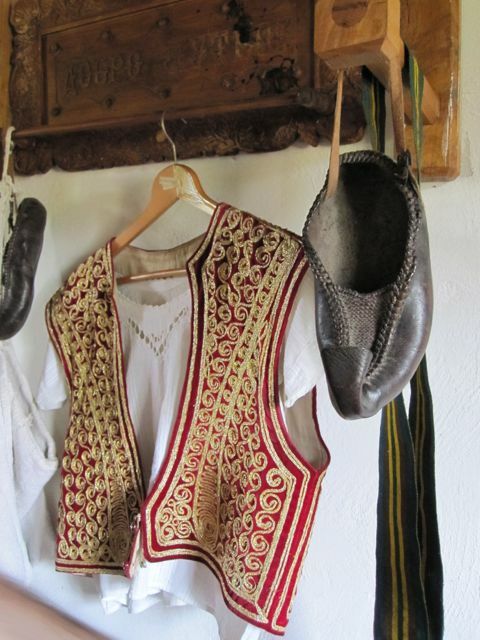 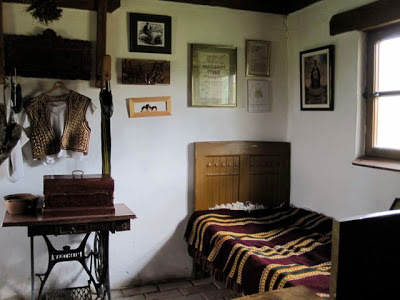 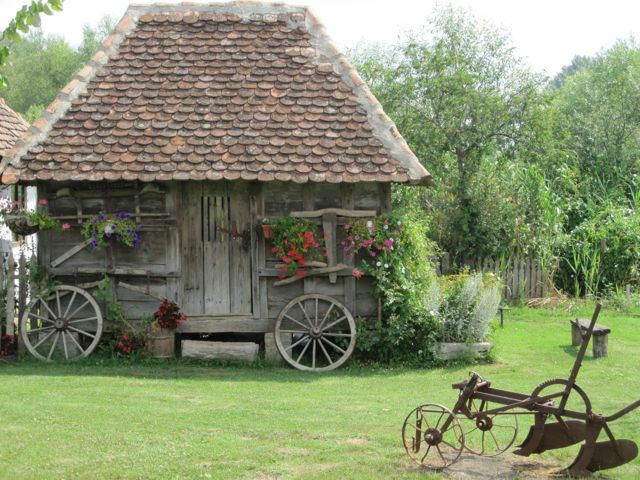 To give you some more information on village architecture in Serbia I post the links of my 6 Lessons on Serbian Rural Architecture. 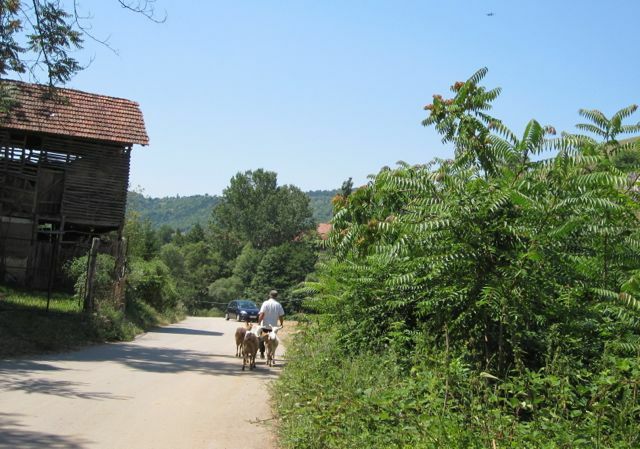 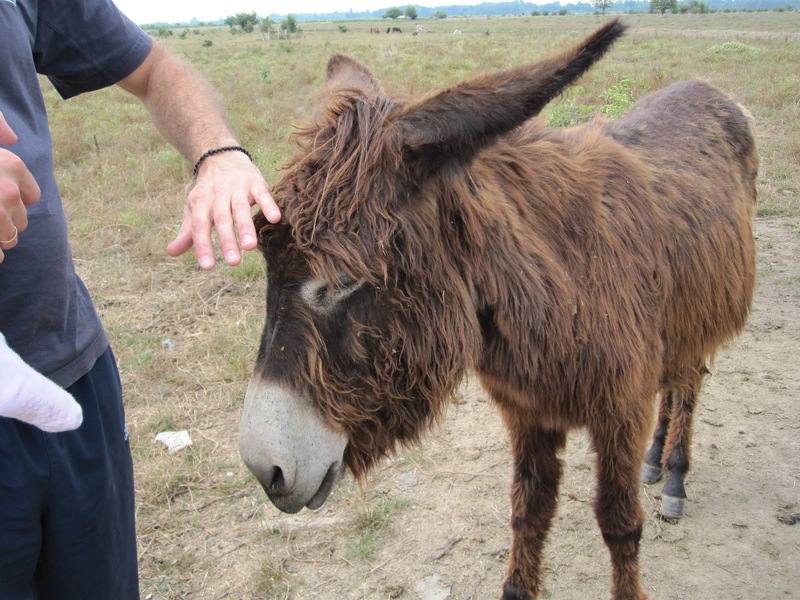 When I visited the famous Serbian wildlife and nature reserves Zasavica one year ago while visiting Sremska Mitrovica (my post about it here) I didn't know that the world's most expensive cheese, made of donkey milk, is produced there! 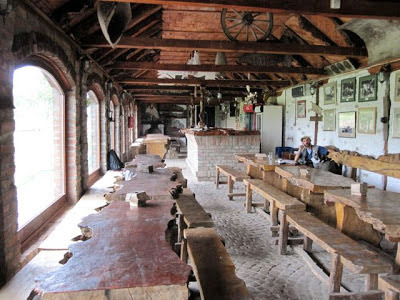 I read here that the Nr.1 tennis player Novak Djokovic is buying an entire year production of this cheese to make it one of the key attractions at a chain of restaurants the Wimbledon champion and world number one is opening in his Serbian homeland. 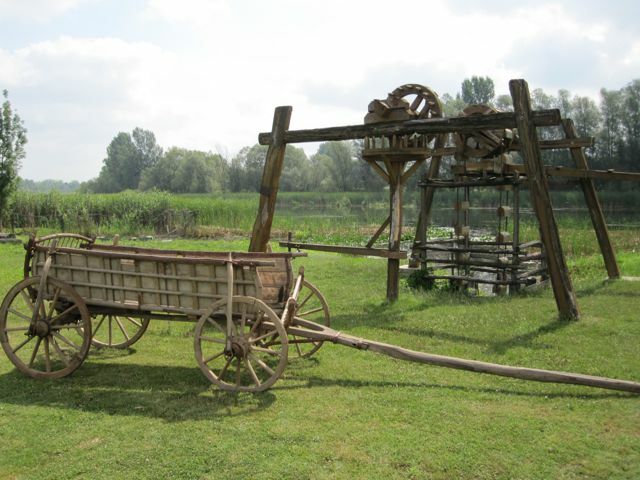 Beside this interesting cheese story, Zasavica Park is indeed worth a visit. 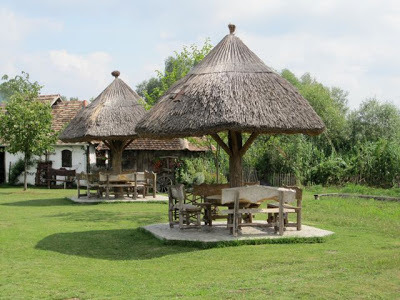 For all traveller who enter Serbia by the Zagreb-Beograd speedway Zasavica is on the road and makes a nice stop. 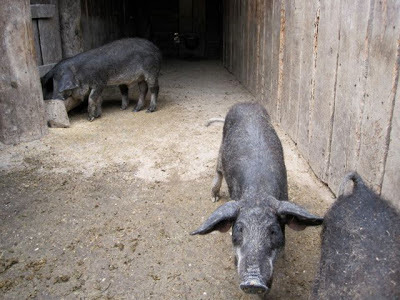 Mangulica is the only surviving autochthonous Serbian breed of domesticated pig. Other two, Šiška and Šumadinka died out. 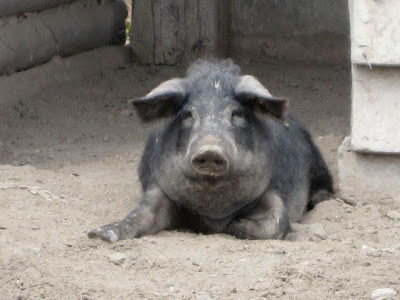 A breed, also known as "woolen pig", due to its good qualities, is considered a "noble", but it almost died out in the 1980s. Its fat has up to 80% less cholesterol and triglycerides than a common, white pig. In 1998 Mangulica was introduced in Zasavica, and are left to roam free in the reservation. The concept for Zasavica Nature Park ist that Agriculture helps local farmers to gain income from the reserve and at the same time it is an essential tool for the management of specific habitats and species. Agriculture is restricted to grazing and hay making and famers are not allowed to use of pesticides, herbicides and chemical fertilizers. Preferably farmers use domestic cattle typical for the region like the Manguliza pig and Podolian cattle for grazing. In 1998 the cattle of the Podolian breed was introduced in Zasavica. 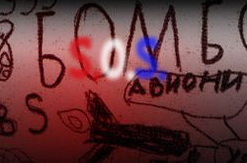 First animals arrived in the spring of 1998 from Mionica, in western Serbia. 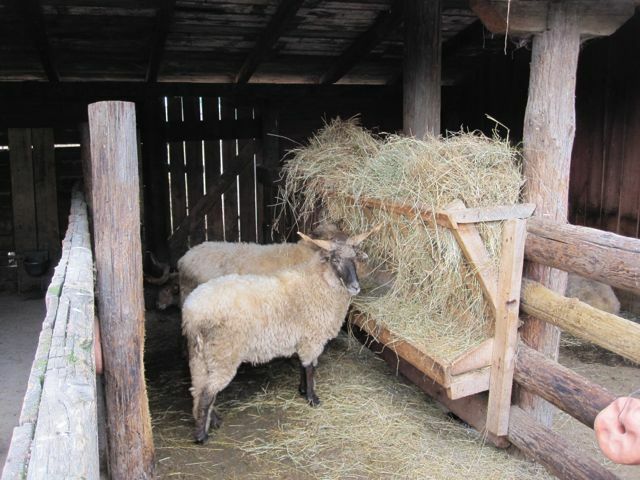 Pasture "Valjevac", near the small Goransko-ribolovačko lake was chosen as their home. 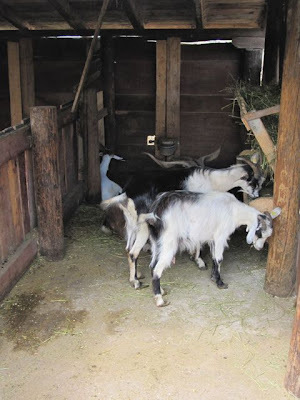 The pasture has an area of 3 square kilometers and today numbers 50 cattle. 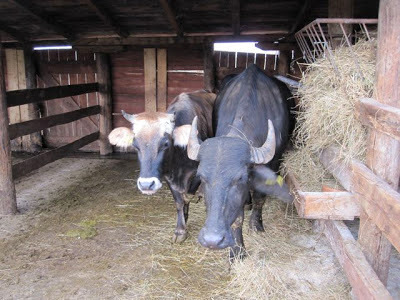 Breeding of Podolian cattle is being part of the program for the preservation of the animal species, developed by the Serbian Ministry of agriculture. 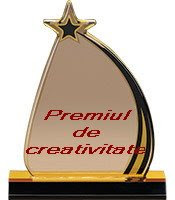 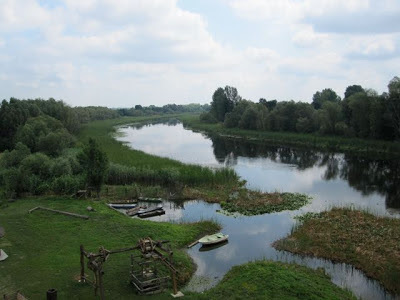 In this habitat types and species (including meadows and pastures, open water, marshes, wet forest patches and upwelling water springs) of European and Serbian importance are settle here and live in a favorable conservation status. Educational program for schoolchildren, educational work camps and research camps are being organized with the purpose of increasing the awareness and knowledge on value and importance of protecting the wetland in general and Zasavica wetland in particular. 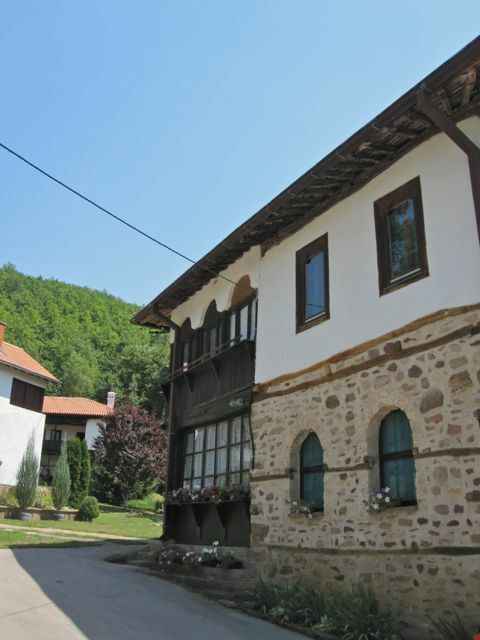 A couple of kilometers from Negotin, on a forested hill lays the beautiful Bukovo Monastery overlooking villages toward the Dunav River and behind pieces of Romania and Bulgaria. The monastery was founded by Serbian King Stefan Milutin (1282-1321) of the Nemanjic dynasty in the late 13th- or early 14th century. 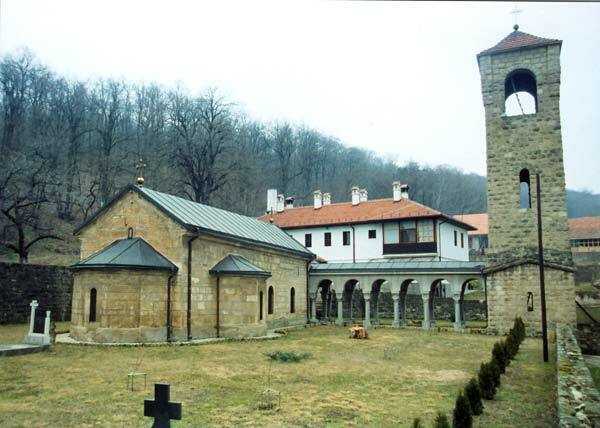 The church is dedicated to St. Father Nikolaj the Wonderworker and by style is a special variant of the "Moravian School". 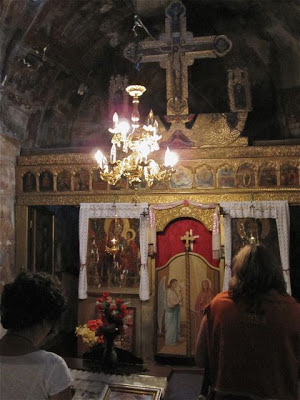 The church has an elongated shape of a trefoil and was built as a single nave with arched barrel vault and without dome. 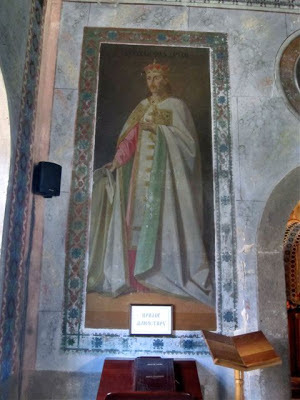 The narthex was build later in the 19th century. The wall around the monastery, the belltower and the colonnade were added in the 1930s. In 2006 two new buildings were erected on the place of the old dorms, which were in ruinous state. The church interior is richly decorated and in the narthex some frescoes in romantic style made in 1902 by Steva Todorovic shows some members of the Nemanjic Dynasty. 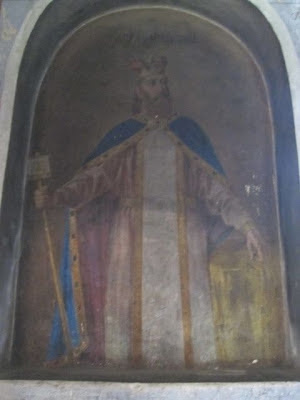 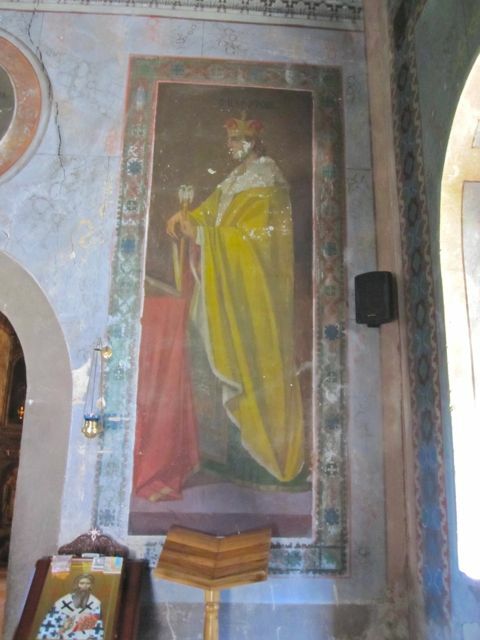 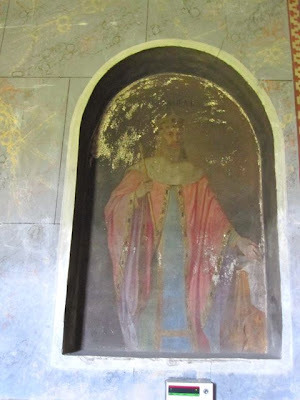 Fresco of Stefan Nemanja (Стефан Немања) 1113 – 1199, Grand Prince of Raska from 1166 to 1196 and founder of the Nemanjić dynasty. Sveti Sava (Rastko Nemanjic) came back from Hilandar Monastery (Mount Atos) to try to make peace between his two older brothers Stefan and Vukan (Stefan as second born was put on the thron instead of the oldest brother Vukan).